The Rev (Pacific 808 Rev Drum Kit). . Wallpaper and background images in the Avenged Sevenfold club tagged: rev avenged sevenfold. This Avenged Sevenfold photo contains grancassa, casa gran, gran casa, tamburo tenore, tom tom, rullante, and batterista. There might also be timpanista, bongo, tamburo del bongo, strumento a percussione, and strumento di percussione. Wow ! 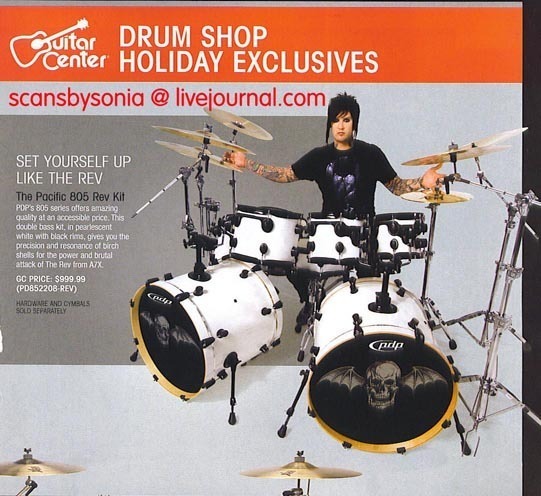 nice drums set .. hehe .